The dominat feeling was that Jangarh should remain “tribal” in his art. 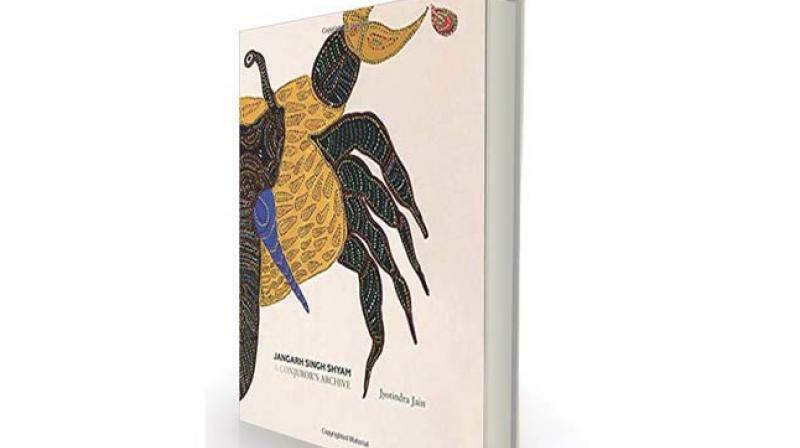 Jangah Singh Shyam: A Conjuror’s Archive, by eminent scholar of Indian art and visual culture Jyotindra Jain, tells the story of an incredibly talented and innovative artist, Jangarh Singh Shyam. 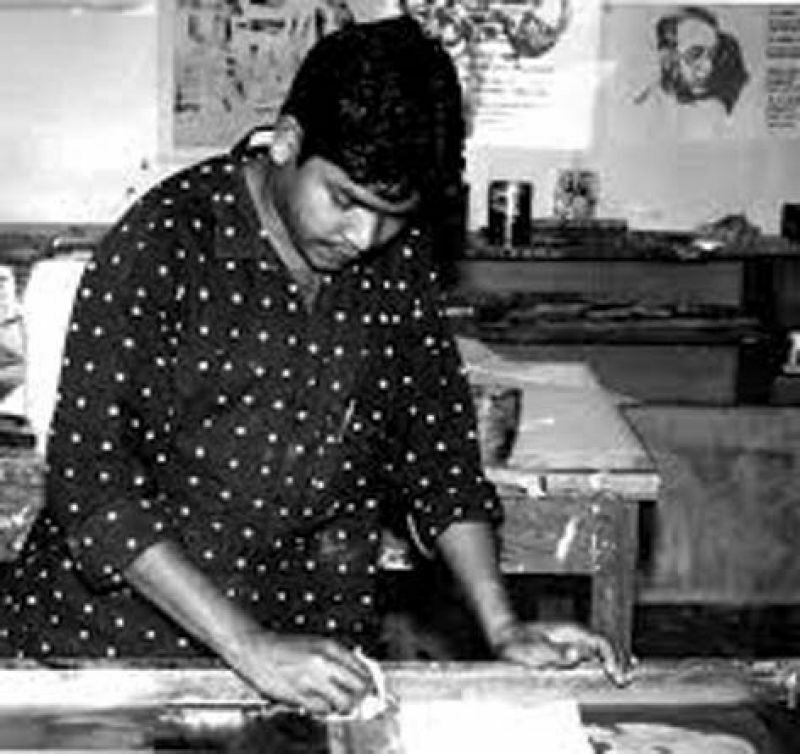 A well-known Gond painter, Jangarh, in a productive 20-year career span (1982/3-2001), rose from being an unknown “tribal” artist to an internationally recognised one. It sadly came to an abrupt halt when he committed suicide in Japan. Jangarh is most often linked to the Gond school of painting known for its distinctive use of primary colours, secular themes and a line patterning to fill the drawing. But as Jain explains, technically, Jangarh belongs to the Pardhan community who were the bards and travelling minstrels among the Gonds. Jangarh was “discovered” by J. Swaminathan while the latter was at Bharat Bhavan in Bhopal where he preferred to focus on the “art” content of the works as distinct from the “ethnographic” one. art relief done in village homes to minute opaque or hollow dots or circles into surface patterning of his paintings effectively, reflecting principles of chiaroscuro and perspective. His fine ink drawings are incredible for their shift from using bright colours to playing with black and white. Jangarh’s valuable artwork is known not only for his distinctive self-expression, the intricate detail in every painting (irrespective of its dimension whether it is a mural or a painting), but also for the merging of the secular and sacred for the first time in the history of Gond art. Though a Pardhan, Jangarh never performed as a minstrel himself. Yet music was in his blood. He was familiar with stories about their deities so was able to attribute a physical form to the gods after seeing villagers in a shamanic trance—Jangarh drew inspiration from their expressions at that particular moment. There are innumerable books published on Jangarh but Jangah Singh Shyam seems like the definitive account on an extraordinarily talented artist written poignantly by an art historian who was fortunate enough to witness firsthand Jangarh’s meteoric rise. The writer is an independent international publishing consultant and columnist based in New Delhi.